It's sort of crazy how you can spend months training for one event, and in just two hours and 34 minutes, that event is over with. But when you look back, you realize that those months of training aren't just for that one single event. And those two hours and 34 minutes didn't really fly by. They were work. Physically and mentally. And they'll be with you forever, really, as a simple reminder that your body is amazing. That it can do just about anything if you believe in it. And just when you DON'T believe in it, that's when your body turns around and surprises you with its ability to keep you going. 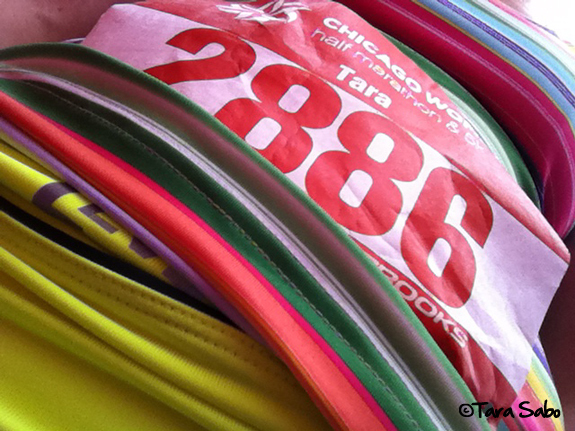 This weekend, I ran the 2nd Annual Chicago Women's Half Marathon. It's been almost four years since my last (and only) half marathon, so I was eager to get out there and run it. Admittedly, I signed up for this one because of all the girly pink-ness of it, but it also fit into the calendar quite nicely in terms of getting in the right amount of training runs. And seriously, who doesn't want to run Chicago? I somehow talked my mom into running it with me, and after a series of long runs together, race day came. Despite the 6:30AM start time, the heat was pretty evident from the get-go and got worse as the time ticked by. The course was lined with water and Gatorade stations, and fans that spit out water, but still. It was dang hot. 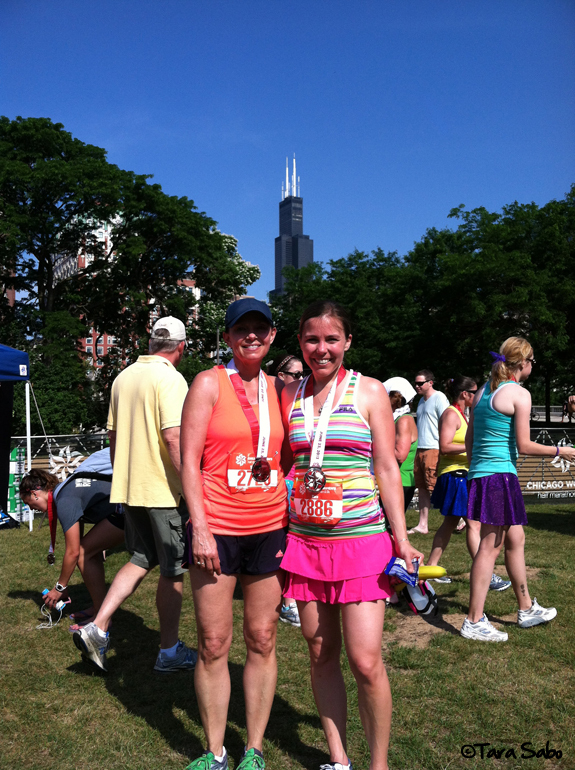 We ran from Grant Park, south along the lake and back. So we got a little bit of a breeze off the lake at times, and parts of the path were lined with trees which shaded the sun here and there. Honestly, it was a great course despite being out-and-back. There were plenty of times I wished I had easier access to my phone to take pictures. All I have are mental pictures, which are kind of hard to upload here. You'll just have to trust me when I say it's a race you should seriously consider running next summer. And it's pretty incredible to be surrounded by so many strong women. Don't get me wrong, I have nothing against running alongside men, but women stick together big time and it was pretty evident on the course. So many teams, so many pairs of ladies rooting each other on. And tons of dudes on the sidelines doing the same. My mom and I were one of those pairs on the path. We started off right were we needed to in order to finish around 2:20 and we carried this pace for about seven miles. Then we came upon a hill. In complete sun. Without a water station in sight (good thing I had my new "handy" water bottle with me). From there, we definitely had to work a little harder to keep up. And towards the end, with about three miles left, Mom hit a wall (figuratively speaking). She might not like that I'm telling you this, but I'm going to anyway because I am super proud of her. As any runner knows, when you hit a wall with a handful of miles left in temps that you don't like, it's hard to keep going. Every part of you wants to quit. I knew she wanted to quit when she told me to go ahead of her, but I was not about to let her walk it in. So the personal trainer, training partner and daughter in me all kicked in and I made it my mission to keep her going. It meant that we weren't going to make our time goal, but that didn't matter to me. I wanted to finish, and I wanted her to finish right next to me. And she did. She pushed. Hard. So, fastest half marathon? Nope, not for either of us. But one of the best? Yes. Because we finished together. And we finished strong. Hannah learned how to show off her muscles, so this shot was for her...but it's totally appropriate in this post, right? 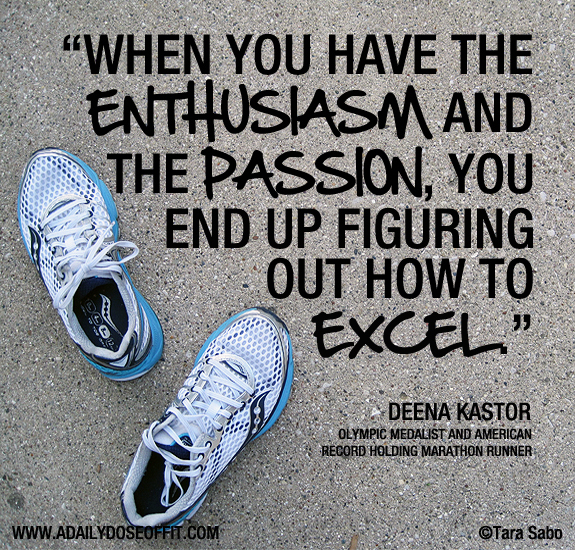 Let's review: "When you have the enthusiasm and the passion, you end up figuring out how to excel." And if you ever doubt the truth in that, remember that the finish line is yours with a little mind over muscle. So proud of you, Mom. Thanks for being my running buddy. So glad we crossed the finish line together. 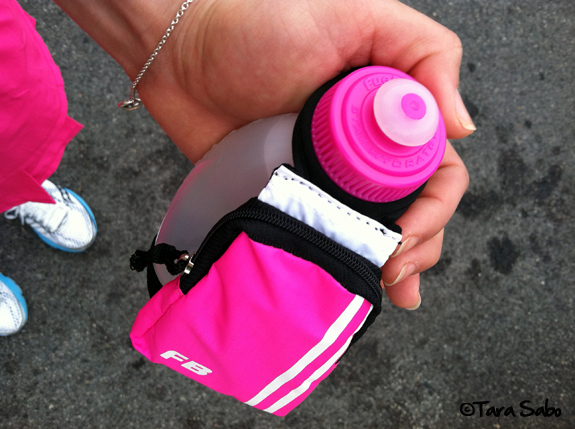 Question: Do you have a personal running mantra? Something you tell yourself when the going gets tough in order to keep going? How you do motivate yourself to continue? Your mom looks like she could be your sister! When things are really bad when running, like really bad, I try to stay in the moment as much as I can. Counting helps. Anything to keep me focused. Congrats on a great race!! Thanks for the congrats! Counting...I'll have to try that! Sponsored Post: What are vitamins?